Just starting out looking for a safe? Been looking for a while and thoroughly confused? If you are like most people and you are looking for a safe for your home or office, you may not know exactly what you're looking for. 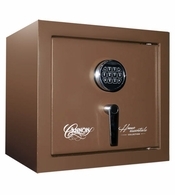 There are many kinds of safes on the market today, and there are many sizes as well. Here is a short list of basic things to think about that will help you decide what protection you need for your valuables. ARE YOU LOOKING FOR FIRE PROTECTION? ARE YOU LOOKING FOR BURGLARY AND THEFT PROTECTION? ARE YOU LOOKING FOR PROTECTION FROM BOTH FIRE AND BURGLARY? ARE YOU LOOKING FOR AN INSURANCE RATING? When offering you a policy, the insurance company may ask you to purchase a safe that meets the insurance industry's qualifications. 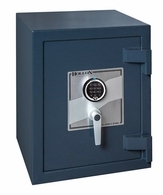 Because of the replacement value of your collection, jewelry, or other valuables, the insurance company may want you to purchase a TL-15, TL-30, or TL-30X6 High Security Safe. These are ratings that are awarded to the safe manufacturer when they have their products tested. There are hundreds of testing facilities out there, but the most famous is Underwriters Laboratories (UL). When safes pass any type of test at the testing facilities, they are awarded a rating and the manufacturer will mount some type of label on the safe itself to indicate that it has passed the test. So look for labels when you are looking at safes. If you are told that a safe has passed this test or that test, and you don't find a label, question the truth of the statement. If you are still confused, come in to any of our showroom locations in Southern California, or call one our expert safe consultants to help you decide what type of protection you need in a home or office safe.